Top Rated Test Prep Tutors in San Francisco, CA! Welcome to San Francisco’s top-rated private test prep in-home tutoring service! All of the following San Francisco test prep tutors are certified by Varsity Tutors, the leading tutoring agency in the country! 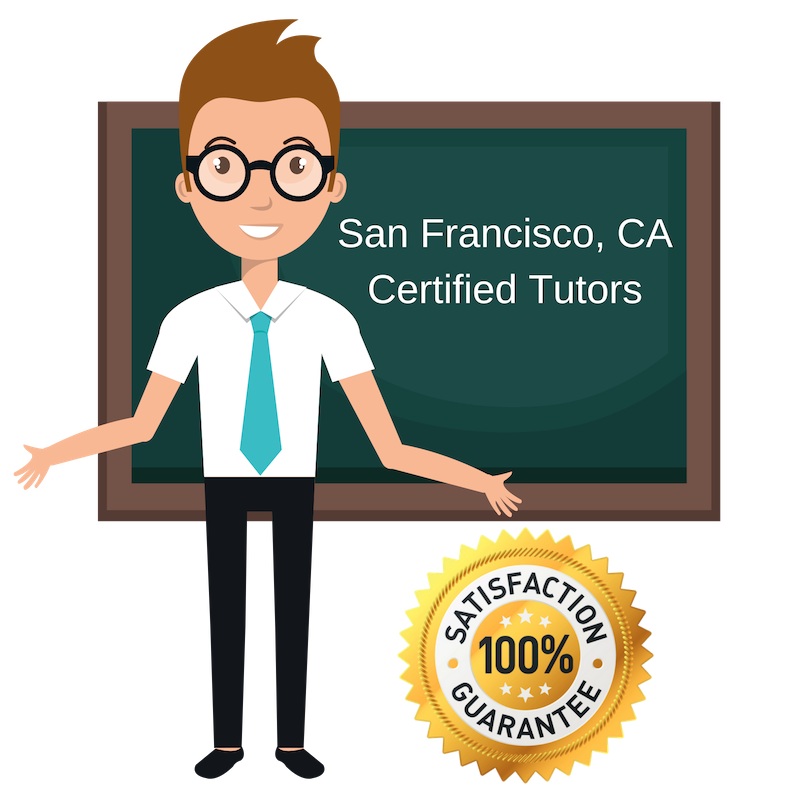 All San Francisco test prep tutors have been background checked, been interviewed, had mock trigonometry tutoring sessions, and been trained by professionals. We guarantee you will love your local San Francisco test prep tutor or your money back! Get information regarding a top-rated test prep tutor today! Before I was the professional tutor and financial technology consultant that I am today, I was a student-athlete at Northwestern University. As a student-athlete, I had a college career that depended entirely on time management and a strong set of study skills. With the proper guidance and study strategies, I was able to graduate with a 3.9 GPA and won an award for being the female student athlete with the best academic performance. Today, I find great reward in sharing what I have learned during my studies by working with current students to help them improve their academic performance and organizational skills. I am currently available for tutoring and standardized test prep for students in San Francisco, CA. I have a strategic mindset and enjoy teaching concepts and equations differently from how they are traditionally presented in a classroom. I am a private tutor living and working in the San Francisco, CA area and available for assistance in standardized test prep. I am an experienced tutor with more than twelve years of experience teaching a variety of student groups. So far, I have taught English, French, and Spanish to students from middle school to college ages. As a tutor, I am empathetic and flexible, and believe in a teaching style which accomodates each student’s indiviual learning needs and strengths. I am a team player and am always eager to help out, so one-on-one tutoring is something that I find very rewarding, because I get to be directly involved in helping individuals achieve their goals. I am a private tutor located in San Francisco, CA and am happy to help students who need assistance with standardized test prep. I have completed coursework in a variety of subjects and have experience working in both the arts and sciences, so I am accustomed to approaching topics and solving problems from very different viewpoints. I completed undergraduate and graduate studies in classical voice performance for opera and musical theater at Vanderbilt University and The San Francisco, CA University Conservatory of Music, respectively. Prior to that, I studied psychology, history, and English in the International Baccalaureate Program. I maintain strong interests in psychology, women’s and gender studies, art history, and foreign languages. As a tutor, I am comfortable working through any of these subjects and especially enjoy helping students with projects, papers, and exam performance and strategy. Overall, I have an approach to tutoring which is based on patience and an encouraging attitude. I am a personal tutor specializing in standardized test prep working in San Francisco, CA. I adore working with new students and helping individuals pursue their academic and professional goals. I grew up on the East Coast in Connecticut and attended Barnard College for my undergraduate studies. In 2015, I completed my studies and graduated with a dual major in urban studies and human rights. As Barnard College is the women’s college of Columbia University, I have personal experience with standardized testing. I believe I can use my own experience and study strategies to help other students achieve competitive scores for applying to leading schools around the country. I am a private tutor for standardized test prep located in San Francisco, CA. I have been tutoring for more than six years and have experience working with students from middle school to college age groups. I have tutored mathematics and writing for high school students and middle school students, but also have experience teaching young adults from my time spent as a mentor for first-year college students. During my mentoring experience, I worked to help students improve their time management and personal organization skills and also taught valuable study strategies relevant for all fields of study. I have also amassed further tutoring experience from my volunteer role teaching in public school settings. When working with students, my priority is getting them to understand the “big picture,” and acquiring the confidence to solve problems on their own in the future.